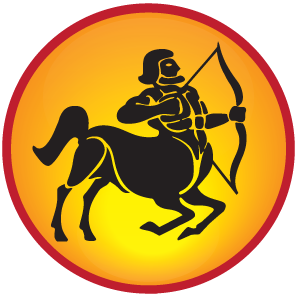 Sagittarius Horoscope for 2012 specifies that this will be a smooth year for the natives, which will cover their career advancement, fulfillment of desires, romance etc. More special moments in family are foreseen. Rejuvenate your relationship with dear ones and try to celebrate life. Be clear in what you talk and to whom you talk. Stay away from big promises as you may not be able to keep it. Siblings and neighbors will be helpful for the natives in 2012. Domestic situation will get better with time. Sagittarius Horoscope for 2012 states that children will be the source of happiness for the natives, especially during the early part of the year. Spirituality may play a predominant role in the year 2012. Those natives who have a natural flare for spiritualism will meet proper mentor and will move forward in their journey. Many natives may incline towards performing charity and humanitarian gestures. Most of the desires will be fulfilled for the natives and they can make use of this year to accomplish their dreams and ambition. Please Note: The Sagittarius Horoscope for 2012 given here are common for the natives of Sagittarius and may differ according to an individual’s birth date and time. For a simplified, accurate & customized 2012 horoscope prediction, get your personalized 2012 yearly horoscope prediction report now. Sagittarius Horoscope for 2012 indicates a robust health for the natives in the beginning of 2012. Try to stay away from your epicurean pleasures. Regular exercise is required to maintain the fitness level. Skipping foods will cause some discomfort; headaches and body aches are on the cards. Remember to give some time for yourself; this will keep you in good health. Sagittarius Horoscope for 2012 shows that fortune is smiling at the natives for the whole year. The beginning of 2012 will be very beneficial for financial improvements. Gains through various sources and new money making opportunities are in the offing for the natives. Outstanding dues will come to you easily. Expenses are foreseen through pleasures, amusements, pilgrimage, charity and auspicious events. Some natives may clear their loans in drips and drabs. Sagittarius Horoscope for 2012 indicates that love life will make a good progress in 2012. Having confidence in yourself and surroundings will help the natives to move forward in their emotional life. Some bumpy moments are seen between loved ones; exercise enough caution so as to maintain the intimacy. Unattached natives will find their desired partner and will marry them during the first half of 2012. The month of June, July and October can be a challenging period for your relationship; couples will have to work out a compromise. Let this New Year bless you with Inner Transformation and Peace.